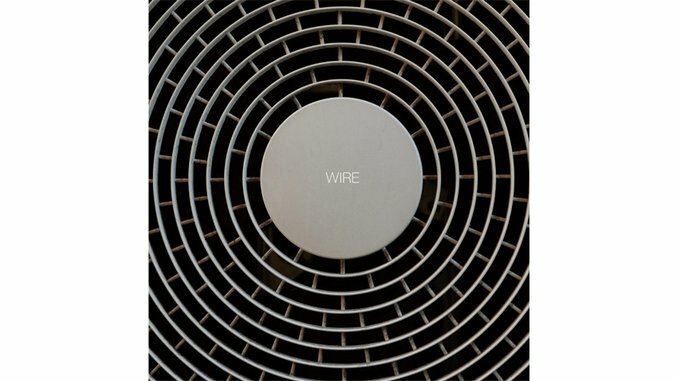 It’s fitting that the titles of almost all the songs on Wire’s latest album are verbs. These 11 tracks represent a very active work by the iconic post-punk band. Their previous two full-lengths—2010’s Red Barked Tree and 2013’s Change Becomes Us—were representations of the group finding its collective feet again after the departure of founding guitarist Bruce Gilbert and the arrival of Matt Simms. The latter release also felt like a clearing of the slate as it was filled with revamped versions of material the band had written and performed around the time of their split in the early ‘80s. With a secure lineup set now, the pieces feel very much in place for Wire to start trundling forward with renewed purpose. The music certainly reflects that. Wire is as minimalist and direct as anything the group has done to date. Drummer Robert Grey still plays sparingly, keeping a steady motorik beat using only high-hat, snare and kick drum. He’s driving nearly everything else within these songs; in response to his pulse, guitarist Colin Newman and bassist Graham Lewis rumble forward with simple, fluid rhythm lines to complete the foundational work of these songs. Simms plays the role of wild card, snaking around their parts with shimmering layers of sound or lead parts that dart around his three bandmates like a hummingbird. That directness, though, puts Wire at a slight disadvantage. The album isn’t nearly as dynamic as prior work by the quartet. Only longer exploratory jams “Sleep Walking” and “Harpooned” break out of the monorail-like glide of the rest of Wire. Those tracks are unquestionable highlights here, with Simms’ overdriven guitar hacking through “Harpooned” like a sharpened blade, and the simmering fury in “Sleep Walking” matching Lewis’s desperate pleas for action to save our agonized planet. It also feels strange to hear Newman sing each song in a restrained croon. It forces you to dig more closely into the sometimes Dadaist lyrics, but determined music like this could use a touch of his biting bark.